Editor’s Note: This is the second part of a four-part Finger Lakes report, compiled over several visits Mikhail made to the region last summer. The first post can be found here. Forge Cellars principal, Rick Rainey. There is not a marker on the road to Forge Cellars. However, once you find your way here, you won’t ever forget the way. My visit to Forge in 2017 was eye-opening. I was immediately impressed by both the unusual style of the wines produced, and the care the team placed on the organic work in the vineyard. 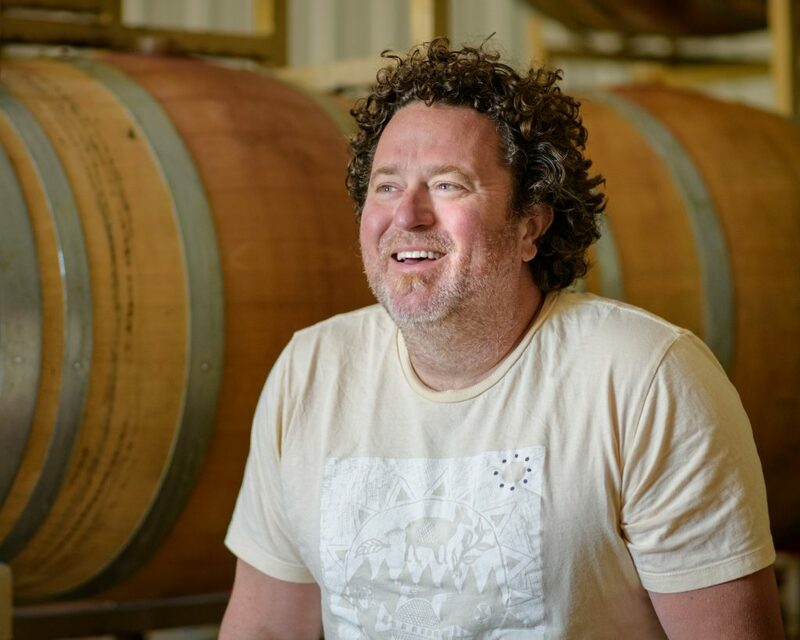 Rick Rainey, one of the three partners at Forge, talks about their influence being from Burgundy, including making “white burgundy from riesling.” The wines are laser sharp, elegant and with a crackling whip of acidity. One could see how Chablis is a comparison point for their rieslings, but for me, the Wachau Federspiel is perhaps a more direct comparison. Both wines share a brightness and elegance, both very dry and yet, unlike the drier German wines, these lean in the pineapple and tropical fruit direction. Of course, these are merely generalizations, but perhaps they offer a direction since Forge wines are quite unique in the Finger Lakes. The pinots are as unique, earthy, cranberry and quite floral. However, these wines are also lighter than some of the other Finger Lakes pinot, more mineral driven, with an undeniable drinkability that is unforgettable. If you have not visited yet, make an appointment, and get ready for a whirlwind of jazz and wine. An easy wine to love, the Classique is a great introduction to Forge wine. Light, but stone and mineral driven, bright, hint of vanilla, good texture in mid. Palate shows some peach and grapefruit, leaning toward lemon and stone notes toward the finish. Pretty wine, with floral and tropical notes on the nose. The palate is textured, as one expects from Forge. Lots of tropical fruit on the palate, with riper core of pineapple and lemon. Bright stony notes on the back palate, tart, leading to a mineral finish. This is a floral wine, showing yellow flowers and white peach notes on the nose. The palate is deep, brooding, salty notes over a ripe, pineapple and tropical fruit core. More mineral toward the back palate. Long tangy finish. I would give this some time – but it should reward. This year’s classique is showing the forest floor I expected but with a riper cherry note along with raspberry and smoke. On the palate, it reveals iron, cranberry and pomegranate notes along with the cherry. The wine is light but with a good core of tannin and acidity. Quite intriguing. This Pinot is showing blue flowers, mineral notes, spicy and earthy tones. The acidity is bright here, but with a good cherry tone through the mid. Tart, dry wine, with a stony grip, needs some time to develop. A beautiful, unique Pinot Noir, with floral and elegant power. More cherry tones than the classique. Perhaps a touch less crunchy than the previous wine but the cherry tones in the middle are lusher, spicier with hints of mineral and plum. Elegance is key here – I cannot wait to see how it ages with time. Our connection to Hector Wine Company started with Forge, because Alexandra Bond led our tasting there. She is the co-winemaker at Hector, assistant winemaker for Forge and we just had to come taste what she was up to. Hector is a lovely little hamlet, and the 414 road is studded with wineries, but Alexandra calls the Hector Wine Company an informal community center. And it is easy to see why – the comfortable, roomy tasting room, with a long bar, and a set of wines has something for everyone. 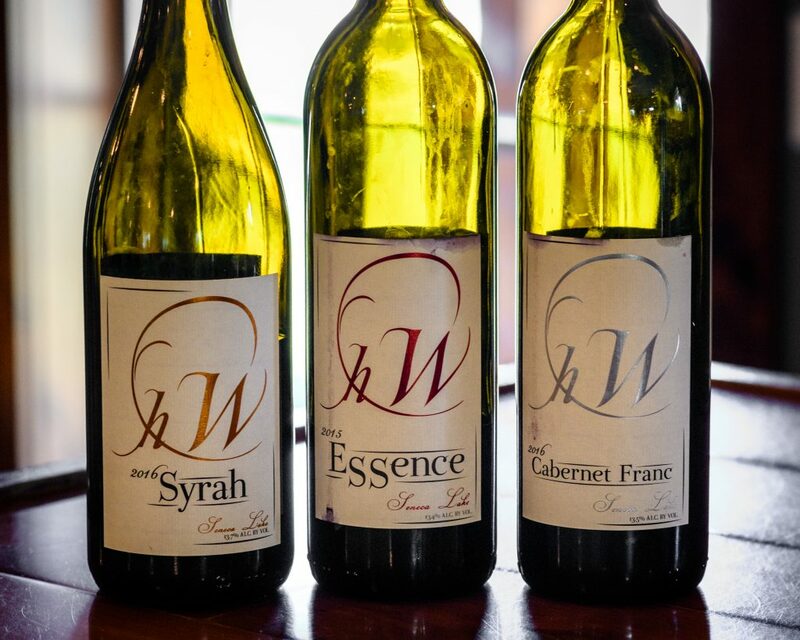 As far as the wines, let’s go to white elephant in the room first – a Finger Lakes syrah! It was absolutely delicious, red fruit, ripe, crisp but balanced. 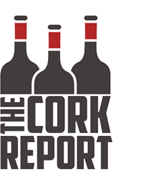 All the red wines were quite impressive – which is a testament to the work Justin Boyette and Alexandra do in the vineyard and in the cellar. 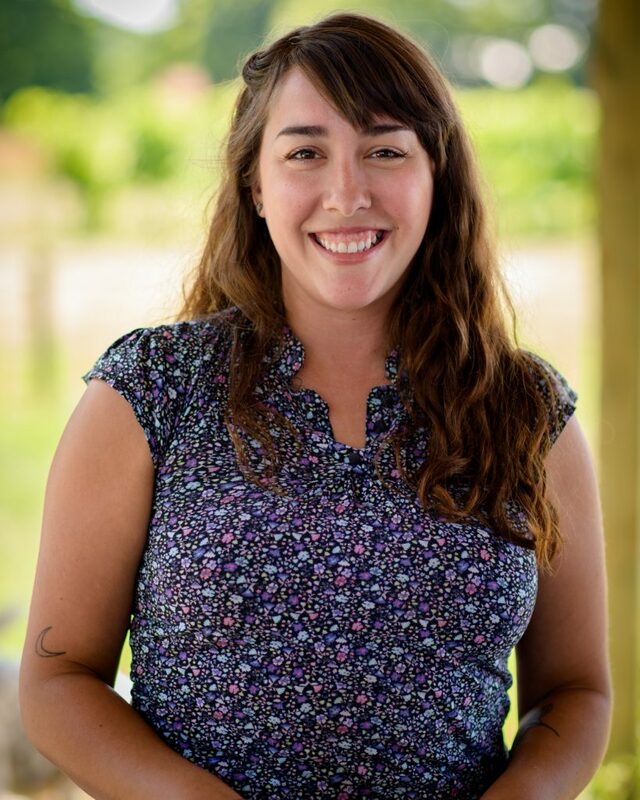 Hector Wine Company Co-Winemaker Alexandra “Alex” Bond. Alexandra points to the lower yields and the careful selection of planting sites, as well as the hand-sorting for ripeness as the reason for their success with reds. The white wines are quite intriguing as well, with Alsace as lodestar – drier than most, with a richer, broader mid palate. Pinot Gris, Pinot Blanc, Riesling, and Gewurztraminer blend, in a dry Alsace style. This is a floral, pretty wine. The core of white peach and grapefruit juice. The ripe tropical mid contrasts with the tart and zesty acidity. A unique and interesting take. A powerful red for the region, with ripe black and blue fruit. There is a hint of tobacco on the nose. 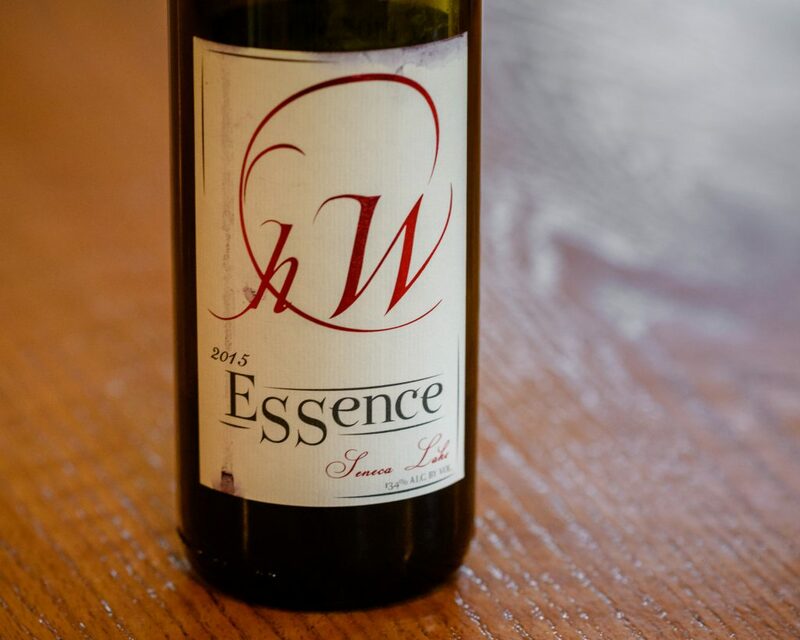 The mid is juicy with a ripe blue fruit core, hint of herb and tobacco leaf. Spicy finish. Well done. This is an exciting wine, a Syrah from the Finger Lakes region seems almost impossible, and yet here it is. While the warm vintage is surely helpful, the wine shows a beautiful red fruit core. The lusher mid is rich, but still showing the cool climate notes expected. I really enjoyed this wine and am looking forward to trying it again. This is a Bordeaux blend, with majority coming from cab sauv. Red fruit dominate the wine, with layers of garrigue and savory herbs. Good power to the wine, ripe tannin, medium body. Mikhail was born in Ukraine, during the Soviet Union and moved to the United States with his family as a teenager. He grew up in Queens, where he still resides with his wife and son. He’s an adjunct professor of comparative literature at Queens College and John Jay College of Criminal Justice. He became interested in wine in the early 2000s and quickly joined the online community as well as the busy New York City crowd. His personal wine journey began with the love for German Rieslings, but it has evolved into an appreciation for various styles of wine – from the cooler climates like the northeast to the sherries of Southern Spain. While he enjoys writing and tasting wines, his true passion is photography. He is never without his trusty Nikon, trying to capture the emotion of the moment. He is passionate about the local culture and especially the farms, wineries and breweries of the northeast.